Recessed lighting also known as ceiling can lights provide dramatic, low-profile illumination for every room of the house. These fixtures are installed into the ceiling, so there are no dangling cords, switches, lampshades, or bulbs to interrupt your view. SJS Handyman has installed many of these in ours customer’s homes. 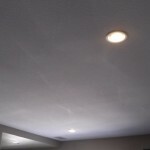 If you have an interest in ceiling can light installation in San Marcos or the surrounding area please call us. We’d love to make you another one of our extremely satisfied customers! Call or request a free quote today! 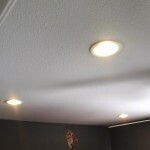 If you need ceiling can lights installed in San Marcos or nearby, call us at 760-580-5224 or request a free quote today. We’d be more than happy to assist you. See what people are saying about SJS Handyman. Read testimonials from our many satisfied customers.